At the heart of The Three Valleys, Méribel is a picturesque resort offering the opportunity to explore 600km of linked pistes in Méribel, Courchevel and Val Thorens. The Three Valleys has so much to offer! A lively a family-friendly character, Méribel is a perfect destination for family and friends, experienced skiers or for those who enjoy forest walks whilst taking in stunning mountain views. It is the most popular French ski area and ski holiday destination in the world and with good reason! 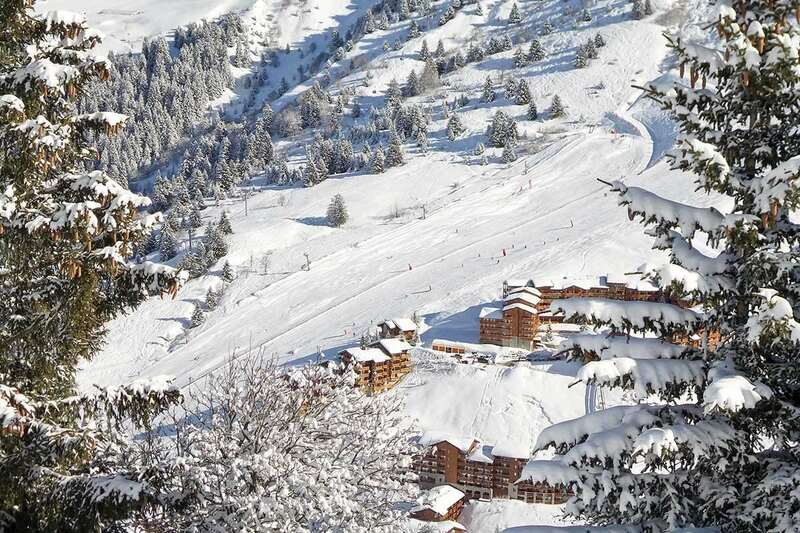 Méribel consist of several smaller villages, all with easy access to the resort centre. Méribel centre is where the main action and town is. La Chaudanne is the hub of the centre where all the main gondola lifts are situated and bars and restaurants. For those wanting to retreat to a quieter village, a little further out from the buzz of the centre, Méribel Village is only about 2 miles out of town. A chairlift in Méribel Village takes you up to the Altiport area and from here you can the ski the Méribel valley. Lower down are the villages of Brides les Bains, Les Allues and Le Raffort. The Olympe gondola and regular bus service allows easy access from these villages to the resort centre. Méribel -Mottaret, is a satellite resort higher up the mountain. It appeals more to the serious skier with its good choice of ski in - ski out accommodation is great for very early or late season ski holiday. It has a very good choice of restaurants and several bars. Méribel offers a variety of pistes for all abilities. Méribel Altiport area is perfect for learning with new protected areas and green and blue runs. Mottaret also has a small protected tow lift for beginner skiers and snowboarders in Meribel. For advanced skiers and snowboarders, you have several excellent mogul fields plus the famous couloirs in Courchevel and the Combe Vallon red at Mont Vallon, the highest point in Méribel is a long and challenging piste with guaranteed snow and stunning panoramic views. Off piste is excellent and we would advise you to take a specialist mountain guide to make the most of it. Apart from endless off piste you have two excellent snow parks. One in Méribel and one in Mottaret, plus more in Les Menuires and Courchevel. Although a low altitude resort, Méribel has had great snow conditions. Runs that are west-facing tend to get slushy because of the afternoon sunshine; something to take into account if booking a late-season holiday. It is recommended to avoid the west side in the morning, because it gets unpleasantly frozen overnight. The Three Valleys has a fantastic snow record due to its high altitude. 85% of the area is over 1800m including 10 summits above 2500m and 6 glaciers. There is a large variety of ski chalets available in Méribel, sleeping from 6 to 30, and even 120 people in a chalet hotel. If you are looking for a traditional Savoyard feel and homely and friendly atmosphere for your ski holiday in Méribel, and chalet will be the perfect choice. There are also several hotels located in Méribel, from affordable B&B style hotels to uber-luxury and all-inclusive Hotels. If you are looking for a holiday on a budget, apartments in Méribel are a fantastic option for groups of friends or families. These accommodations have great access to the slopes and resort centre. At the highest point in the Meribel valley on the Mont Vallon mountain means for excellent snow conditions throughout the season. Be sure to stop at the top and take a photo of the stunning views of Meribel valley below. It’s a steep red run so we recommend for only experienced and confident skiers. Under the Saulire Express 2 gondola, this wide and open piste is perfect for intermediate skiers. It is best to tackle in the morning when it is less busy and snow conditions are at its best. At its prettiest when it has just snowed as the dusted trees makes it look like photo from a postcard! Ski down into Meribel Village on this tree lined blue run. Probably the most underrated run in Meribel but is great for both beginners and advanced skiers who fancy a blast down the mountain. The first section does start off flat but you can quickly pick up speed as the run has some nice turns. The women’s 1992 Olympic downhill, this black run descends into La Chaudanne. New for this season is a new piste starting part way down which leads into Le Raffort village at the Olympic cable car. Méribel is a beautiful resort and is the perfect backdrop for a winter wonderland-family ski holidays. There is so much for families to do off the slopes in Méribel, from ice skating to swimming, shopping, indoor climbing and snowmobiling. A holiday over Christmas or New Year is a truly special time to celebrate with family in Méribel. Take in all the festivities such as the ESF torchlight parade, Christmas carols, fireworks and a meet and greet with Santa in his sleigh whilst sipping on a hot chocolate or Vin Chaud! Après ski is excellent, boasting many different bars places of entertainment. Try the piste side Rond-Point (‘Ronnie’) at apres for live bands between 5-7pm or enjoy cabaret entertainment and groovy beats at La Folie Douce which you can get to by the Saulire Express gondola. There is a lovely variety of restaurants in Méribel, ranging from casual pizza and pasta places, to ambitious French and Savoyard cuisine. For non-skiers, a pedestrian pass offers the chance to admire the scenery on foot and is convenient when meeting up for lunch at a mountain restaurant with friends and family as the pass also allows gondola access. 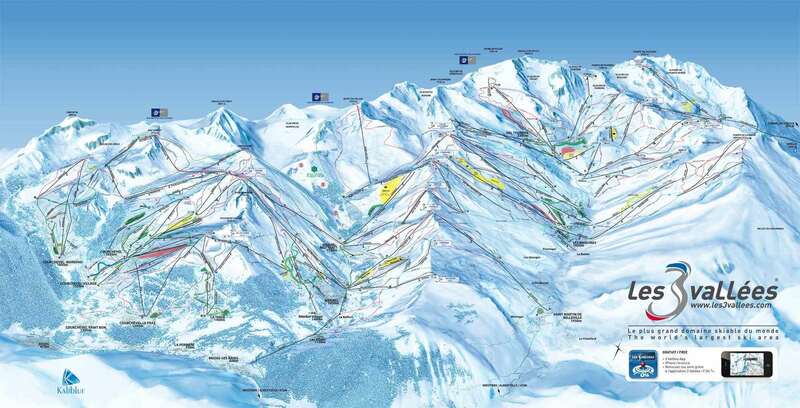 Super place to Ski with access to the 3 valley’s extensive slopes. This has been my favourite resort for the past couple of years. I first went in 2015 and have been back everywhere since. Apres and nightlife is really fun and lively. Loads of restaurants to choose from and the resort is so conveniently located between Courcheval and Val Thorens. Would definitely recommend for any group of people.